The Buddhist philosopher Vasubandhu (ca. 350-450 CE) was a prominent contributor to numerous schools of Buddhist thought. As opposed to the majority of Buddhist thinkers, who acquaint themselves with one or two schools of Buddhism, Vasubandhu stands apart as a seminal contributor to no less than three schools of Buddhist thought: Sarvastivada, Sautrantika, and Yogacara. The Sarvastivada were part of the monkish scholasticism of first-phase Buddhism. After the Buddha’s death, the Sarvastivadas laboriously strove to compile the unsystematic lectures the Buddha had given with the aim of constructing a complete ontological system based on his teachings. 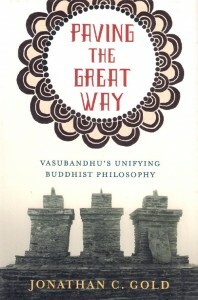 Vasubandhu originally wrote a treatise in this tradition, but grew increasingly dissatisfied with it as his understanding of Buddhism increased. The Sautrantika are another early Buddhist school that are thought to have grown out of the Sarvastivada. As opposed to the Sarvastivada, who attempted a complete scholastic classification of phenomena, the Sautrantika rejected several of these elaborations as antagonistic to the Buddha’s true teachings. In particular, where the Sarvastivadas had held that objects exist in past, present, and future, the Sautrantikas begged to differ. Instead of belief in past, present, and future, the Sautrantikas posited a theory of extreme momentariness; of “time-points” between each of which the universe dies and is reborn in full. Hence, according to the Sautrantika, there is no past or future, as the Sarvastivada had held, but only the perennially unyielding now. Vasubandhu appears to have become fascinated with this doctrine, writing a commentary on matters of time that criticized the Sarvastivada doctrines from the viewpoint of Sautrantika. The Yogacara is the ‘mind only’ school of idealist Buddhism that postulates subjectivity or consciousness to be the primary component of the real. To the Yogacara, there are no discernible entities (such as ‘hot’ and ‘cold’ ; ‘real’ and ‘unreal’) that can be meaningfully applied to the description of reality. However, the Yogacara school nonetheless maintains that consciousness itself is real, even if everything that is perceived in consciousness is illusory or unreal. Though Vasubandhu is one of the most prominent Buddhist philosophers of all time, his influence remains scattered over these different schools (all of which accept his contributions to their own tradition as pivotal while regarding his offerings to the other schools as misguided). This spread is certainly one of the reasons why Vasubandhu has been comparatively overlooked when compared to philosophers like Nagarjuna, Dharmakirti, and Dignaga. In fact, it appears that no proper English-language monograph exists on Vasubandhu at all. It is thus with extreme timeliness that Jonathan C. Gold has written a book on Vasubandhu. 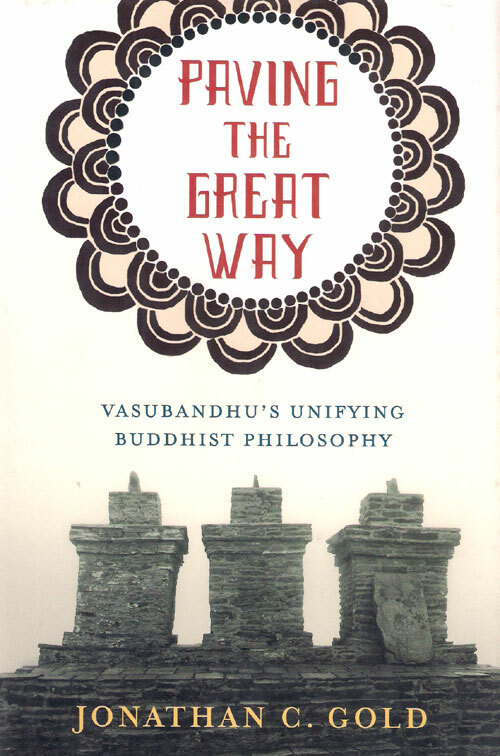 As Gold’s title implies, Paving the Great Way: Vasubandhu’s Unifying Buddhist Philosophy aims not merely to present Vasubandhu’s main arguments, but also to conduct a synthesis of his Sarvastivada, Sautrantika, and Yogacara views. The project is both daring and ambitious, and should Gold succeed in his endeavor, much of the parochialism that plagues inter-Buddhist relations might be laid to rest. The book opens by putting the quietus to Frauwallner’s ‘Two Vasubandhus’ thesis of the 1950s. According to Frauwallner, the works attributed to Vasubandhu showcase such breath and extent that he holds that there must have beeen two Vasubandhus whose treatises have today been confounded. While Frauwallner does have some meager textual evidence to support his thesis (there are in fact sources speaking of different Vasubandhus from within the period), the majority of scholars have long rejected this view on account of the similarities in vocabulary and philosophical style that characterize Vasubandhu’s works. So it is with Gold, who rejects this thesis too. The discussion is no doubt of relevance in a monograph such as this one, but unfortunately for the reader, Gold’s discussion of this thesis is far too long and could easily have been cut in half. Indeed, the strongest arguments deplete themselves in the first quarter of the discussion: There is only one Vasubandhu. Next we are treated to Vasubandhu’s views of time in relation to the Sarvastivada and Sautrantika views: What is the nature of past, present, and future according to the ontology of first-phase Buddhism? In what ways can past and future be said to be real? Do past and future exist as domains of being in themselves, or are they qualities of objects? In this discussion, Gold concludes that Vasubandhu holds there to be no past or future, but only present entities (dharmas), carrying the seeds of causation (karma) within them. But, we might ask, if past and future are not real, how can causation influence the now? According to Gold, Vasubandhu’s answer is that karma is not a dharma – i.e. it is not a reality, but a conceptual judgment inferred by the mind. In other words, Vasubandhu’s view of causation is much the same as David Hume’s: We do not observe the necessary connections of causality; we only postulate it with our minds. Oddly, however, Gold does not mention Hume at all, and his presentation of Vasubandhu’s position is not very clearly laid out. In the book’s third chapter, we are presented with a discussion of causality, reincarnation, and the (lack of) self in early Buddhist philosophy, as well as Vasubandhu’s reactions to these. According to the Buddha, there were no agents and entities, only modes and conditions. However, in observation it will oftentimes seem as if there is a free agent, producing results according to its self-nature (svabhava), and not according to the great world-chain of causality among interconnected objects. According to Gold, Vasubandhu defends the view of the Buddha on this point by appealing to the scholastic views of first-phase Buddhism to say that a thing can only ever have one self-nature: As far as the ontological classification of objects found in Sarvastivada goes, a thing that has more than one self-nature is not one thing (and thus must be interconnected). Likewise, a thing must constantly produce whatever it is in its nature to produce. To take the example of a rose, if we postulated it to have one self-nature along the precepts laid out as Vasubandhu’s view, then we observe that the rose grows from a seed. If the rose were one thing, then we should expect the rose to keep growing indefinitely. However, since the rose does not continue growing, but withers and dies, Vasubandhu sees this as confirmation that the rose is not one thing. According to Vasubandhu, the process shows that the rose has no self-nature, but that it is rather part of a causal line where it is interconnected with other modes and conditions. Like the Buddha (and David Hume), Gold sees Vasubandhu as acknowledging the view that we naturally perceive stable entities as standing above the chain of causality as it unfolds through a series of time-points. However, according to Vasubandhu, to believe in the veracity of such stable entities across the time-points is an illusion, leading to both ontological materialism, and to the great Buddhist heresy of belief in the self. Finally, Gold treats us to Vasubandhu’s contributions to Yogacara, which he describes as the crowning achievement of Vasubandhu’s work and the unification of all Buddhist thought (to that date). To recap, Yogacara was the idealist school of Buddhism which claimed that “all is mind.” Their analysis proceeded along these lines: According to the Buddha, phenomena and mind are said to be “non-different.” Everything we observe as real is thus merely the movement and interplay of illusory mental constructs. Only consciousness is real – there is no outside reality for it to interact with. In Kantian terms, there is the thing-as-it-appears-to-me but no thing-in-itself – no bedrock of reality to give shape to our perceptions (however much our minds may distort them). However, Yogacara has always been controversial. If the Buddha’s assertion that phenomena and mind are “non-different” can be interpreted to say that everything is really mind, then what prevents that same dictum from being taken to mean that everything is really phenomena (as indeed the Buddha appeared to do)? Or, better yet, what prevents us from saying that phenomena and the mind are co-created through the process of dependent arising, such as Nagarjuna had done? In any case, to defend his Yogacara beliefs, Vasubandhu strives to render it probable that there are similarities between illusory dream objects and the “objective” occurrences that we ordinarily believe to be real. For example, wet dreams and nightmares may beget concrete physical effects in exactly the same way as real objects would. And appealing to Occam’s Razor ex ante, Vasubandhu declares Yogacara the simpler, and hence more sensible, worldview. Interestingly, while Gold first appears to follow suit in his exposition of Yogacara and Vasubandhu’s contributions to it, Gold ends up concluding that the Yogacara view that only the mind exists is a “textbook error,” at least with regards to Vasubandhu’s version of that doctrine. In defense of this assertion, Gold quotes Vasubandhu to say that since Yogacara asserts that there is no perception of things, then the mind cannot be perceived either. And in a state where nothing is to be perceived, liberation is attained. However, though Gold’s endnotes record how his fellow Budddhist scholar Mark Siderits characterizes this reading of Vasubandhu as “quite close” to Nagarjuna’s pupil Candrakirti, Gold nevertheless fails to explain how (what he takes to be) Vasubandhu’s Yogacara is in any way different from its rival school of Madhyamika; the school which was based off the teachings of Candrakirti and Nagarjuna. Paving the Great Way is marred by two recurring weaknesses that make it difficult to give a fair review of the book: The book is (a) poorly structured and (b) lacking in overview and clear definitions. For example, I started this review by laying out some typical differences between Sarvastivada, Sautrantika, and Yogacara, but Gold himself offers us little in the way of such definitions. Sometimes it even seems like Gold does not always understand the extent of these differences himself. Hence, he ends up concluding that an unspecified “Buddhism” is anti-empirical because it does not furnish a belief in the self. However, this conclusion is only true with regards to Yogacara, and not because that school does not believe in the self, but because it believes every facet of immediate observation to be illusory. The Buddha himself, and earlier strands of Buddhism like Sarvastivada, were not in any way anti-empirical, but rather super-empirical: Like David Hume, the reason the Buddha denied the self was that he had searched for such an entity everywhere in experience and found none. The self is not an empirical reality but a rationalistic prejudice: We intuit its presence, but unmediated experience offers no proof of its existence. Granted, it is Gold’s thesis that Vasubandhu synthesizes the various schools of Buddhism into a “unifying Buddhist philosophy,” but without laying the contours of each denomination out in detail, it is impossible for the reader to judge the merit of this hypothesis. Similarly, just like no general outlines are offered for the Buddhist schools taken under consideration, little is given in the way of outlines and overviews of the specific works being discussed: Time and again, the reader is picked up and dropped mid-paragraph into a work by Vasubandhu while given little in the way of an introduction. Gold conducts exegeses of the passages cited, but without offering more of a background, these exercises seem more like pieces of ad hoc ­­reasoning than an overarching argument or exposition of Vasubandhu’s thought. As I said in the beginning, Gold aims to show how Vasubandhu’s work, which has traditionally been read as stretching across three diverse traditions of Buddhist thought, is actually one extensive, unifying whole. This, too, is unclear after finishing the book. Gold’s argument for the continuity of Vasubandhu’s thought seems to be that Vasubandhu employed similar pieces of reasoning on the matter of causality throughout all periods of his thought. However, as students of philosophy will know, the same argument can easily be made to fit different metaphysics, depending on the context in which it is employed and the first assumptions chosen to back it up. Thus Hegel had no trouble recycling many of Kant’s arguments, and Shankara made good use of Nagarjuna’s arguments in his reformation of Vedanta. The argument that Vasubandhu voiced a distinctive view of causality across all of his works is therefore not sufficient to render it probable that he had a “unifying Buddhist philosophy,” as opposed to being, in turn, a Sarvastivada, a Sautrantika, and a Yogacara. What is clear about Vasubandhu after reading Gold’s book, however, is that he had a keen eye for contradictions and inconsistencies in the theories that he was exposed to and that, in his own works, he frequently innovated upon what had been handed down to him. Having a keen zest for philosophical discourse, he tirelessly polished, smoothed and evened out the theories of the schools that he worked with – in short, he truly helped pave the way for many of the traditions that he supported. Have you guys thought about typing the Buddha? You’ve got Muhammad up, so why not? You certainly write about him a lot. You definitely seem to think he had a ti/fe axis, at least. Are you implying that Vasubandhu was an INTJ, like me? I don’t really think the question of whether “all is consciousness”, as Yogacara says, or “all is phenomenal”, as the Buddha taught. They both reject dualism, so they’re both right. The difference between them is, in my view, a difference of perspective on the same idea, rather than holding different ideas. As I said, I can switch quite easily between thinking of everything as mental or everything as physical. Following Nietzsche, however, I tend to think of the latter as the healthier outlook. *as the Buddha taught, is important. Apparently Vasubandhu thought so too. If I may ask just out of curiosity why did you remove Muhammad from ESTJ page? On Buddha, I think it’s more than merely a conjecture that Buddha has Ti/Fe axis and you have written on Buddha much more than anyone else on this site then what’s holding you back from typing him? Is it one of those instances where it is rather hard to decide between INFJ and INTP becuase these two seem to be the only plausible typings. It would be nice to see you arrive at a confidential typing of Buddha. On that note it would be awesome if you make an INFJ or INTP test. I’d be interested in hearing this too. I adore TED as well and I find that *many* of the TED speakers give Buddhist talks, pblbaroy without ever realizing that is exactly what they did. The dharma is all around; and people who are grounded and connected and open just live it, even if they don’t know it.